23 | January | 2015 | Study. Read. Write. 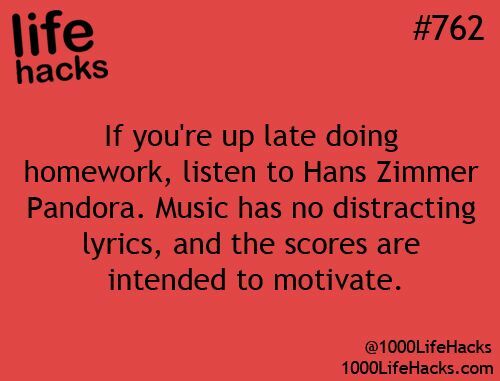 Pandora Music Life Hack: listen to music by Hans Zimmer while studying or working on urgent work assignments. He is the composer of the film scores for movies like Inception, The Lion King, Gladiator, The Dark Knight, 12 Years a Slave, Da Vinci Code and many more. In case you don’t know, Pandora is an Internet Radio. Unfortunately it seems that only those based in the US, Australia and New Zealand still have full access to it, though.